What’s the temperature today? It can’t make up it’s mind. Cold in the AM. Hot in the PM. Your temperature is too high to go to school!!!! Wait a minute did you hold your thermometer under the lamp again? Abby: Hope what do you mean it’s too hot? Hope: Abby what do you mean it’s too cold? Abby & Hope: Can someone check our thermostat so the temperature is the same in the office? WOW!! I can feel the temperature rising in my mouth!! I like spicy!!! BUT this is SPICY!!!! Categories: Bonkers Away, temperature | Tags: cold, temperature, Spicy, hot, thermostat, thermometer, 3/8/2019 | Permalink. All I have to say is we are frosted and not with Frosty the Snowman. 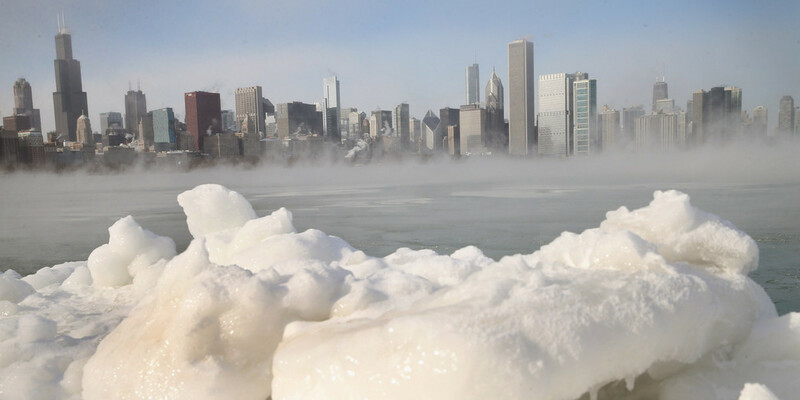 Today we are enjoying a snow storm, but we will heat up to a whole 32 degrees Fahrenheit, wind will pick up to 20 to 30 mph (miles per hour) here in Chicago, IL, U.S.A.
Then tonight it will go down, down, down, down to a blooming 2 degrees Fahrenheit tonight. Windy with snow and drifting. Hopefully the wind will diminish later. BUT we have beautiful scenery where water has a touch of “FROST”. Hopefully with this lovely weather it will kill, smack down, run over, terminate, mow down, destroy the germs that have and are still out there. 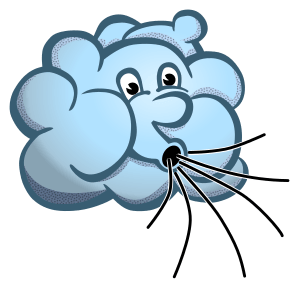 Categories: Blogging Blogger, Bonkers Away, Frosted, Ragtag Daily Prompt | Tags: 1/28/2019, Frosted, germs, ice, Ragtag Daily Prompt, Snow, temperature, windy | Permalink. Hi Everyone! Hope all is well. ME: Today the sun is out, no clouds in sight, temperature in the 50’s, it’s Friday, what more could you ask for? NINS: So what!! It could always change when we go out to lunch. Winds at 50 miles per hour, temperature drops to the 30’s, etc, etc, etc. ME: BOY! Are you cranky today. I think most people have a friend like that. Do you? Categories: Blogging Blogger, Cranky, Daily Post comment | Tags: 4/21/2017, Cranky, friend, no clouds, sun, temperature | Permalink.